We all know it: plastic pollutes, fills up the oceans, kills marine and terrestrial wildlife and uses up a great amount of non-renewables resources. So what can we do about it? Have a look at the new projects posted on the Connect4SD Sustainability Hub and find out how creative individuals and organisations are working on new ways to collect, recycle and reuse plastic. 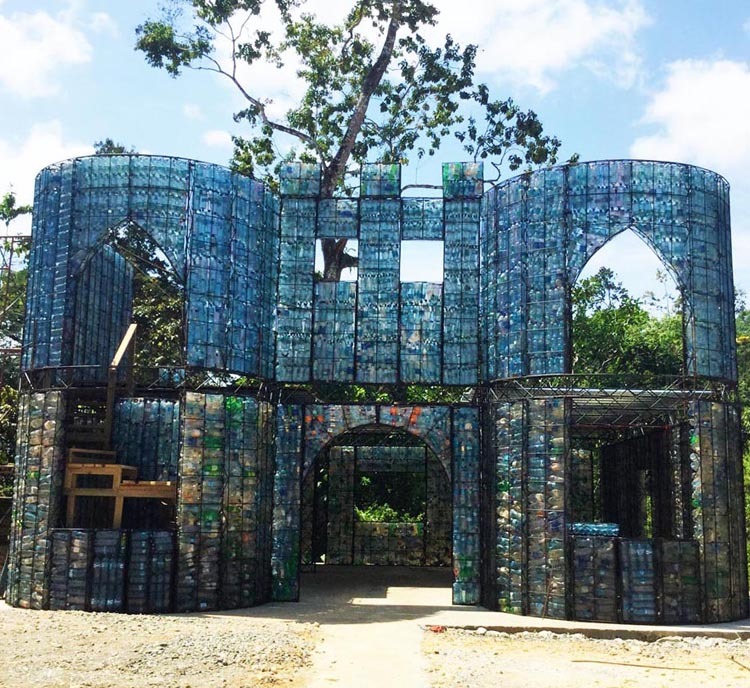 In the jungle of Panama Robert Bezeau has set out to create the world’s first Plastic Bottle Village. Made up of 10’000 used plastic bottles, the first two-bedroom house of the village is already standing. Eventually the village will count 120 dwellings of different shapes and sizes. The environmental benefits of the project lie not only in the collection and recycling of bottles. The plastic bottle material also offers great insulation properties with temperatures being significantly lower inside than outside, eliminating the need for air-conditioning. In addition, plastic bottles provide enough flex to make the houses earthquake-resistant. 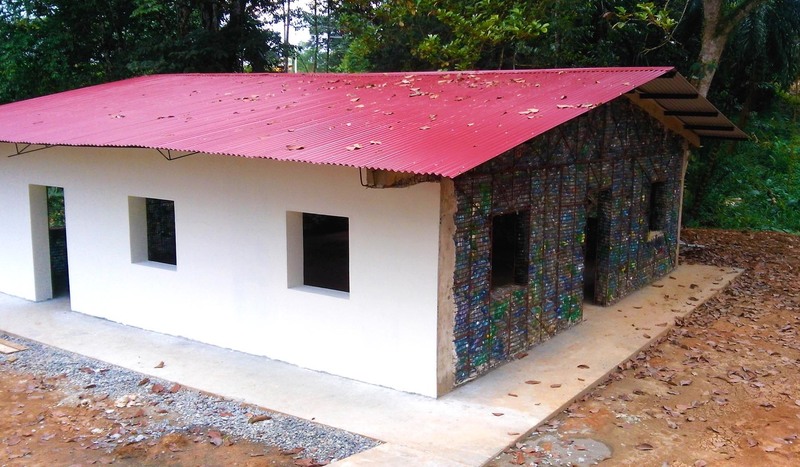 Using recycled plastic as construction material also reduces the costs of building homes, making them affordable to a greater fraction of the population. In Peru and Haiti, the social business Plastic Bank offers individuals and local communities the possibility to collect plastic, bring it to the Bank and trade it there for goods and tools. In addition, collectors also have access to 3-D printing machines to create new products out of the waste material, for themselves and their communities or for sale as small-scale entrepreneurs. The Plastic Bank has also started to partner up with businesses and encourages them to buy the recycled “social plastic” produced with the collected waste. In a similar spirit, Dave Hakkens has launched the Precious Plastic project. Originally started as a graduation project, Dave’s machines turns plastic waste into valuable goods, giving individuals a chance to transform waste they collected into new products for themselves or for sale. The machines are designed in a way that allows individuals anywhere in the world to easily replicate the design, using basic tools and universal materials. The blueprints themselves are available open source online. By spreading the blueprints far and wide, the precious plastic project hopes to help individuals and communities to create new livelihoods while at the same time reducing plastic pollution. Do you know of other projects looking for funding, expertise or visibility? Share them on the Sustainability Hub! Photos from the Plastic Bottle Village website. All rights reserved.